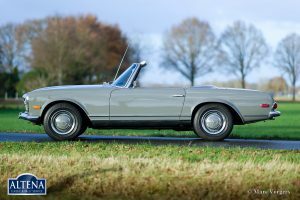 Mercedes-Benz 250 SL ‘Pagoda’, year 1967. 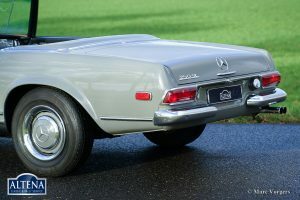 Chassis number 113 043 12 003 6XX Engine number: 129 982 12 001 8XX; matching numbers. 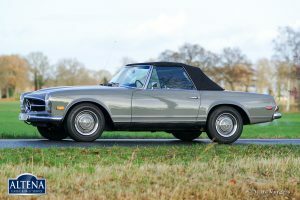 Colour grey (Arabian Grey) with a black leather interior. 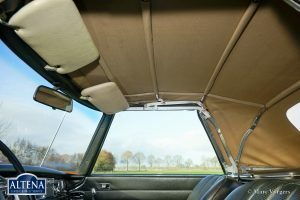 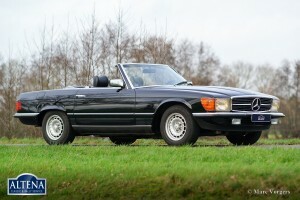 Black mohair soft-top and the original hard-top in body colour. 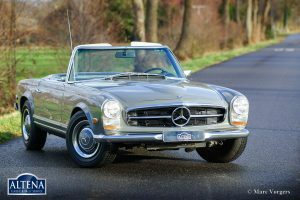 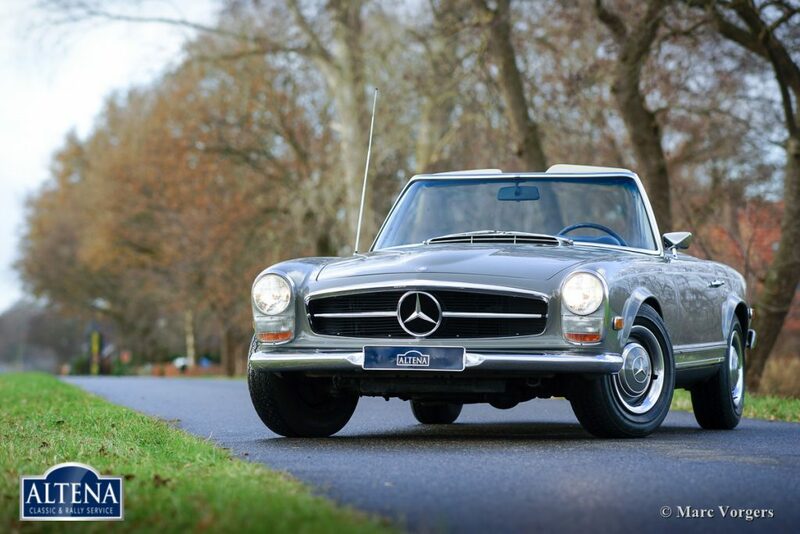 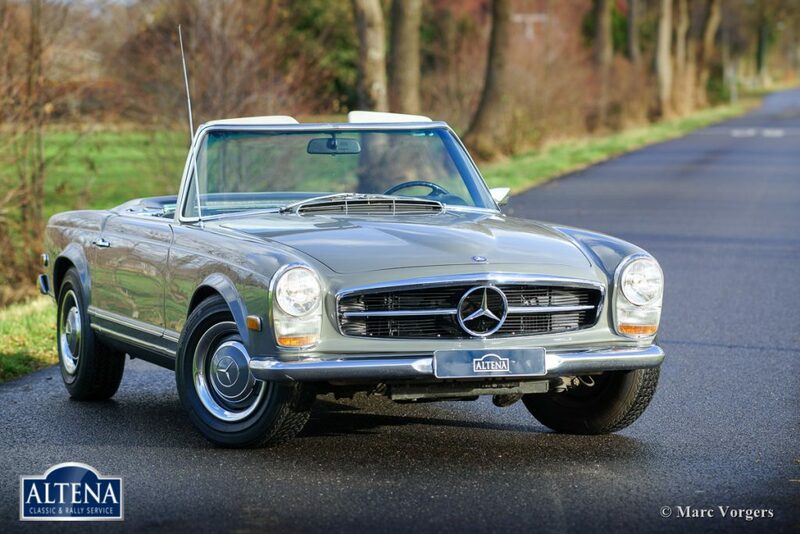 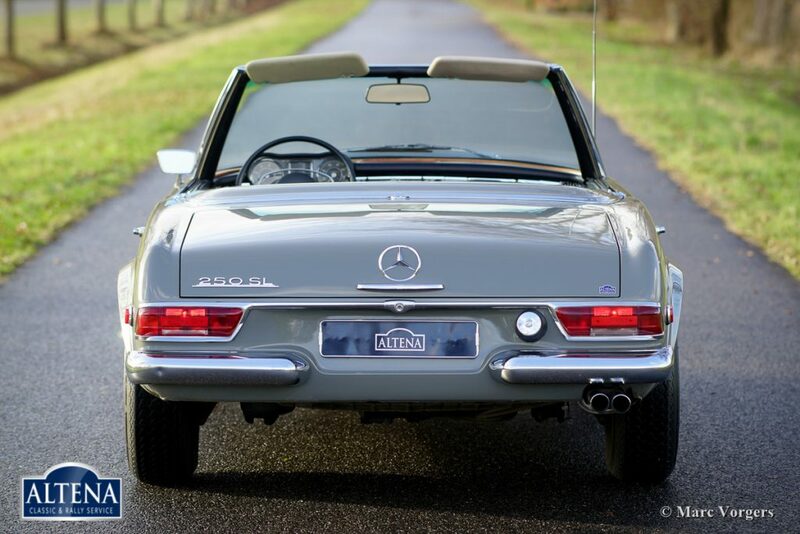 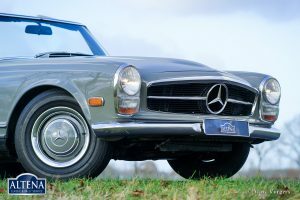 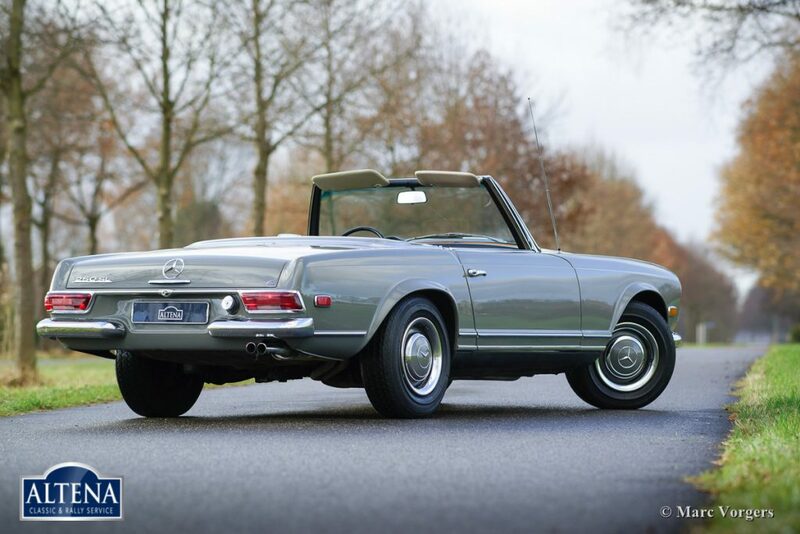 This gorgeous and relatively rare 250 SL ‘Pagoda’ was sold new in California, USA. 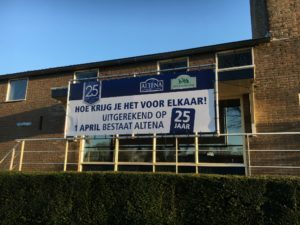 In the year 2007 the automobile was imported to the Netherlands. 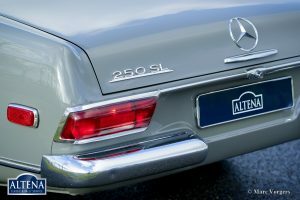 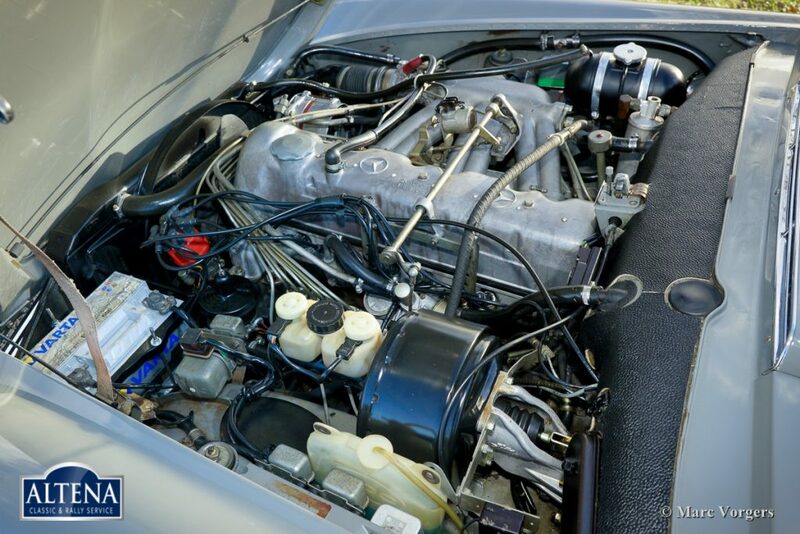 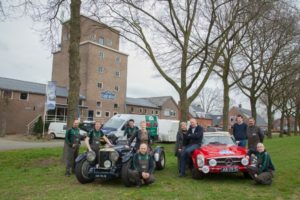 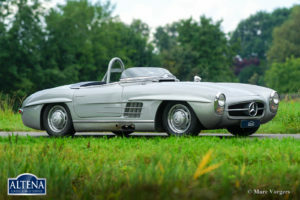 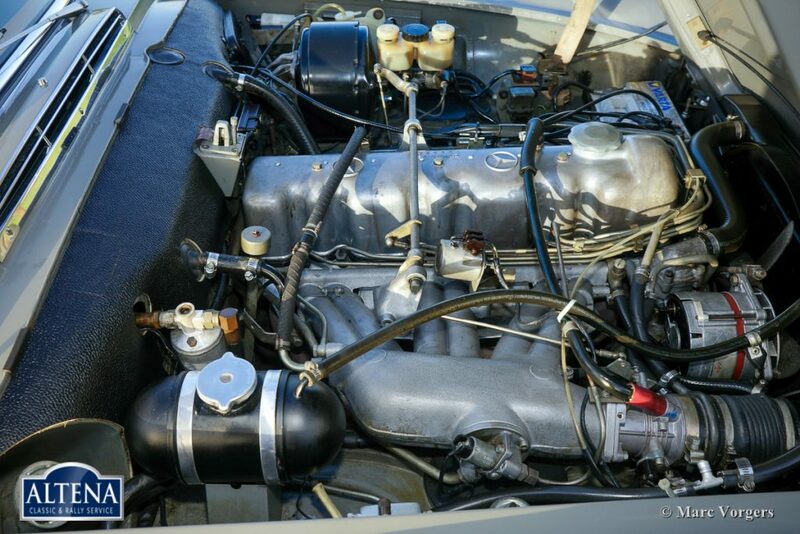 This wonderful Mercedes-Benz 250 SL is in very original and excellent condition! 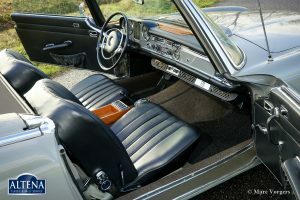 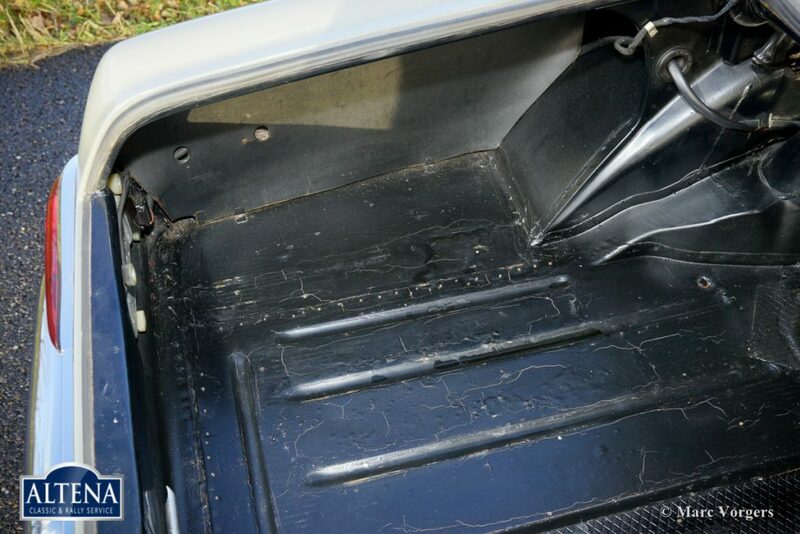 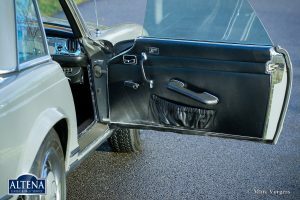 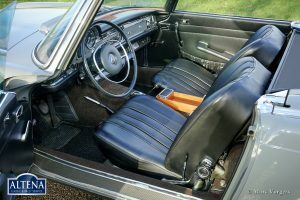 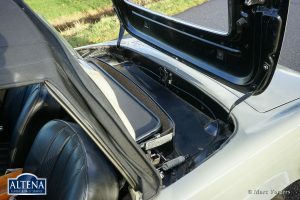 The automobile shows all the original details and the car drives like new! 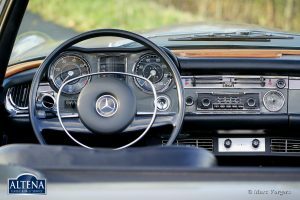 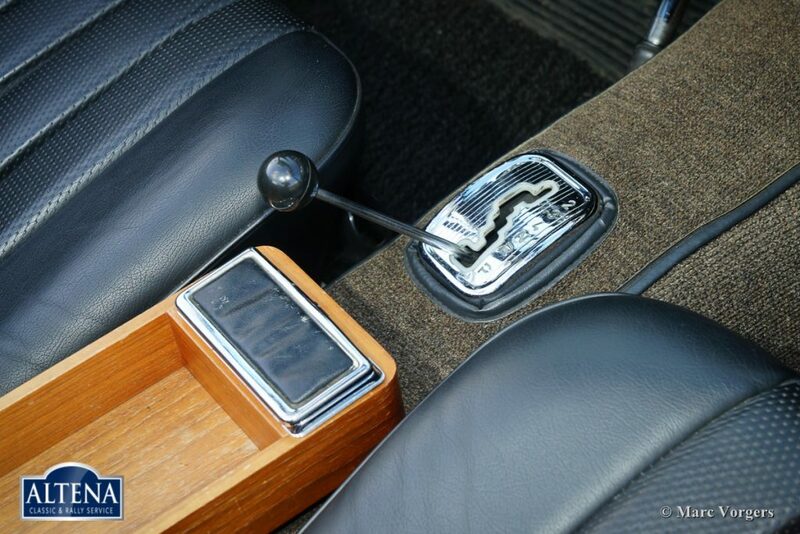 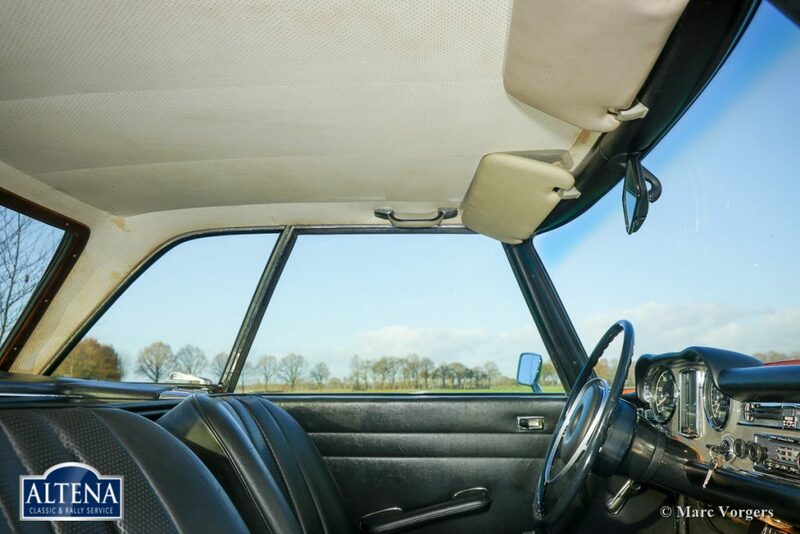 The car features power steering, an automatic gearbox, tinted glass, and a beautiful classic Becker radio! 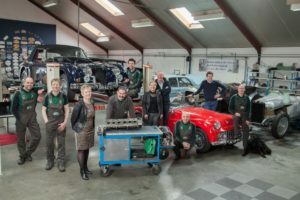 Present are service invoices and the factory ‘Zertifikat’ which confirms that the car has matching numbers. 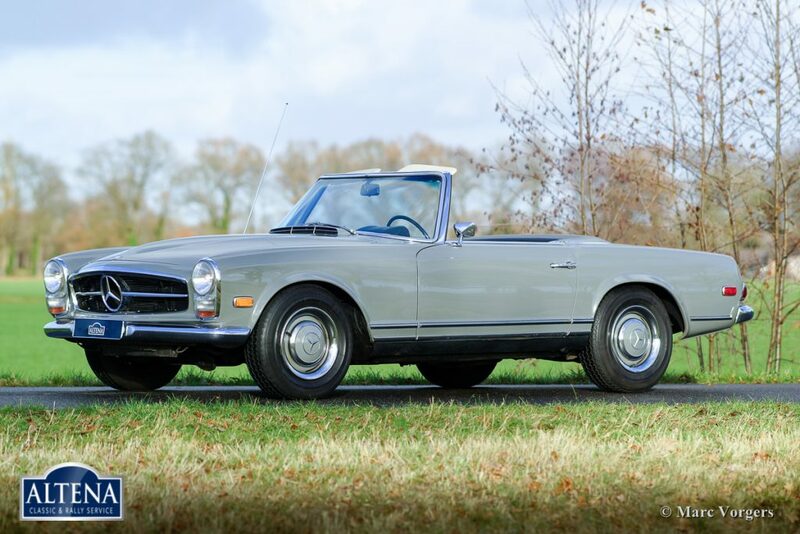 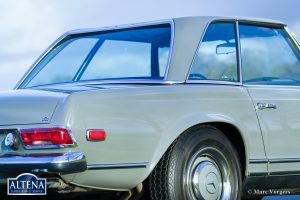 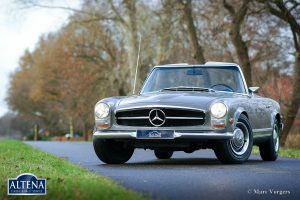 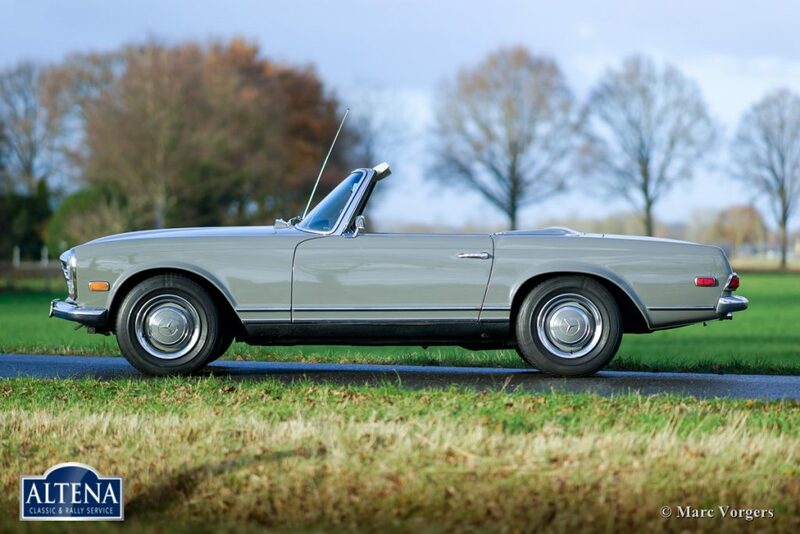 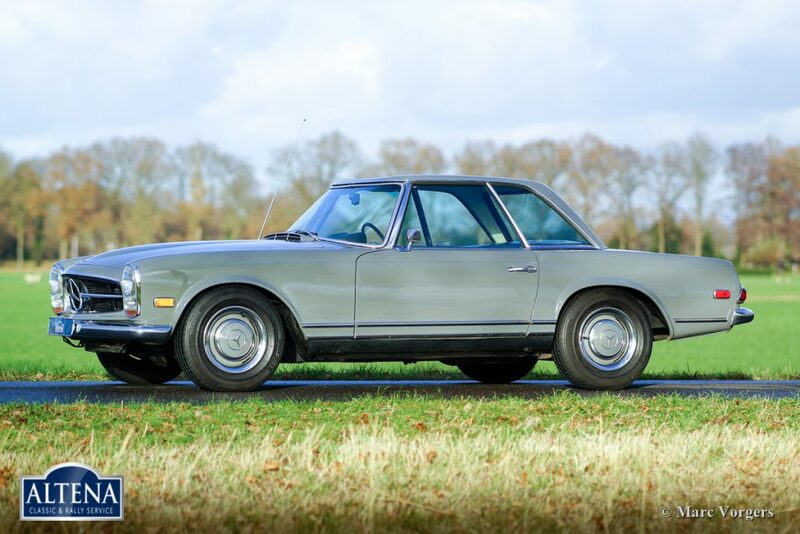 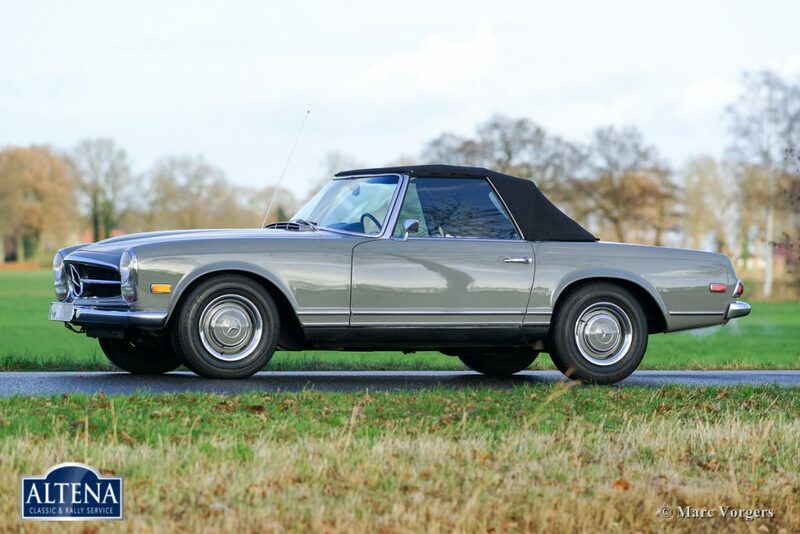 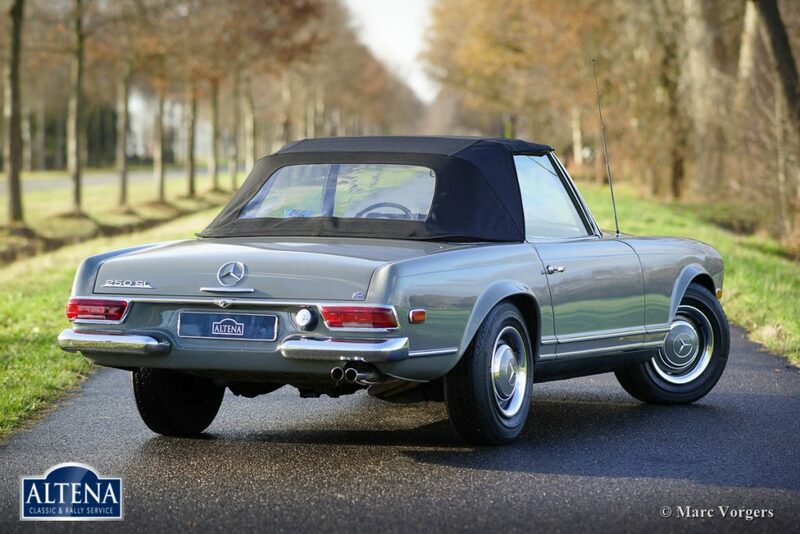 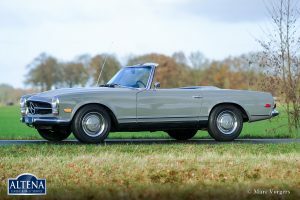 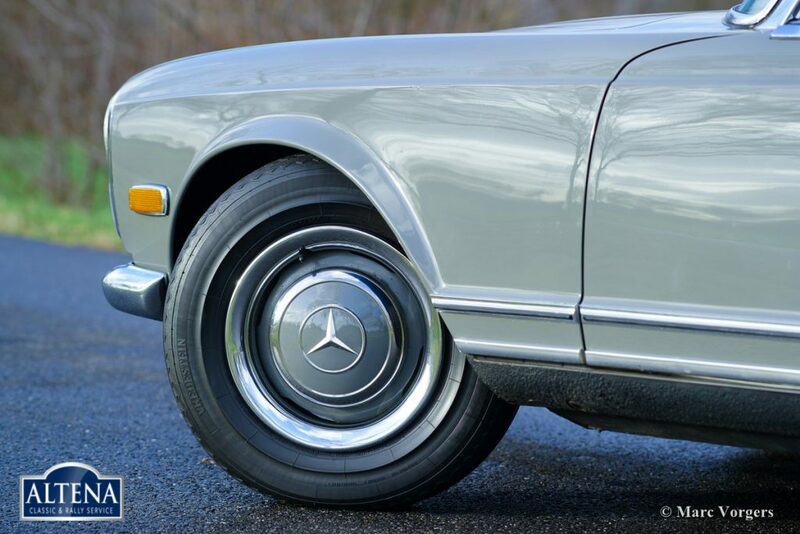 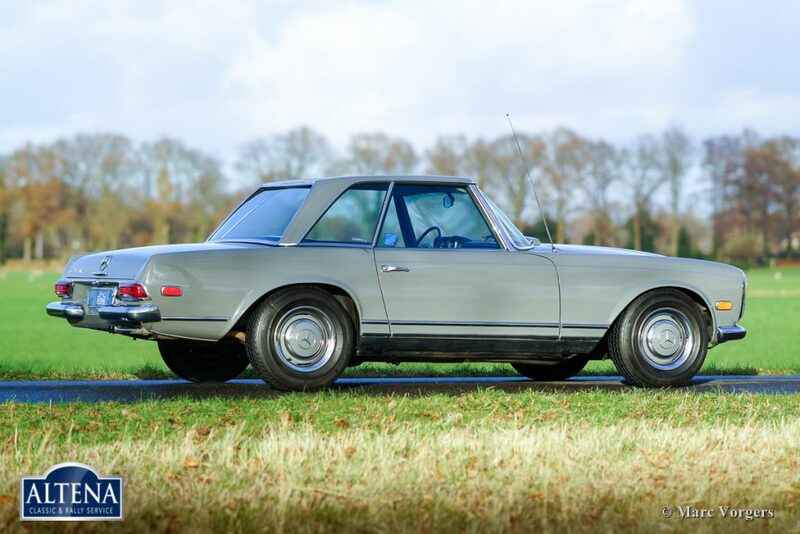 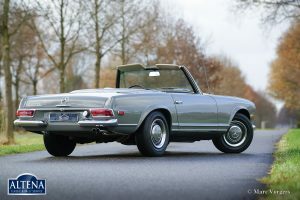 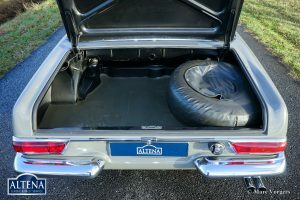 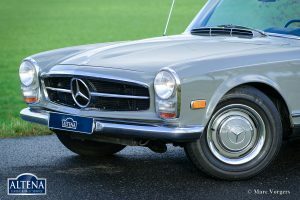 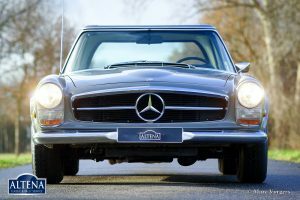 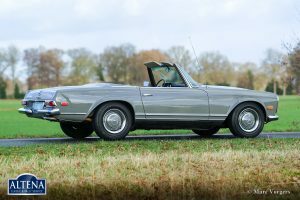 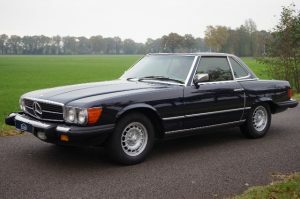 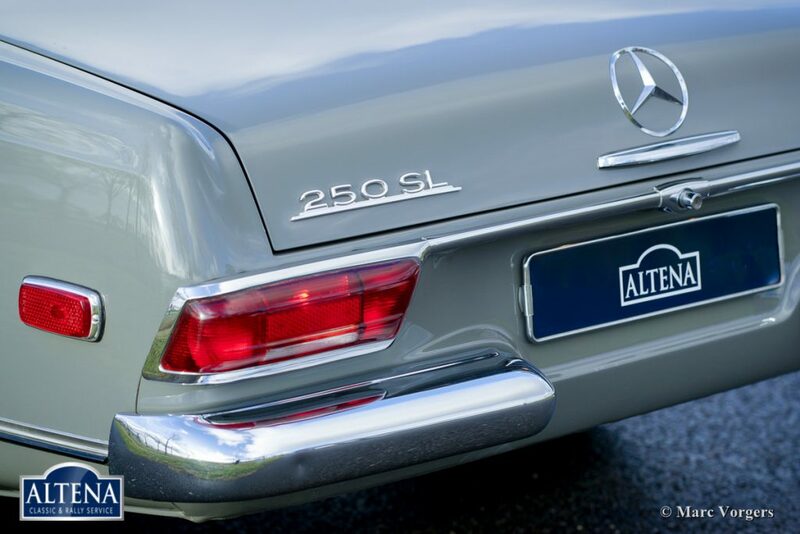 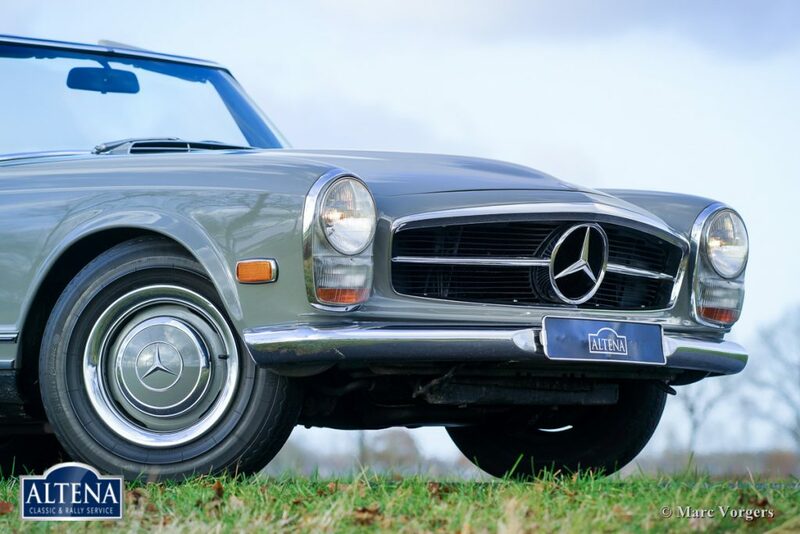 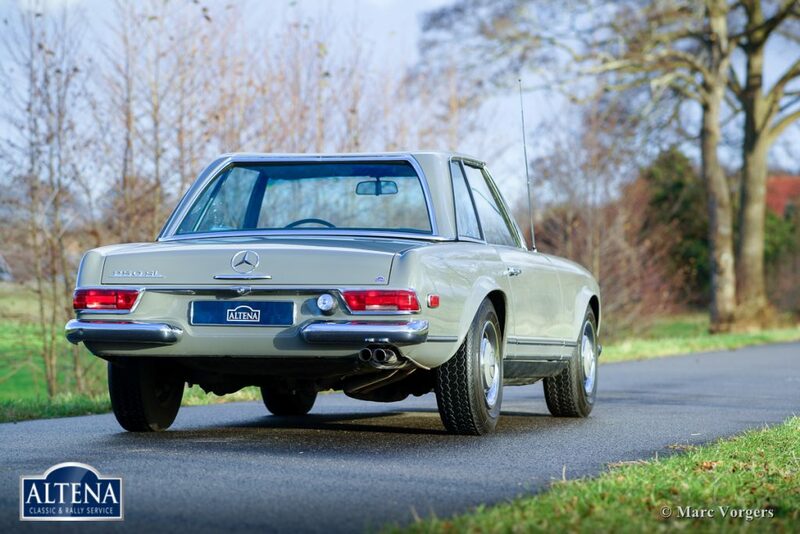 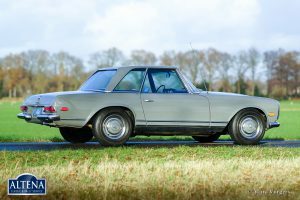 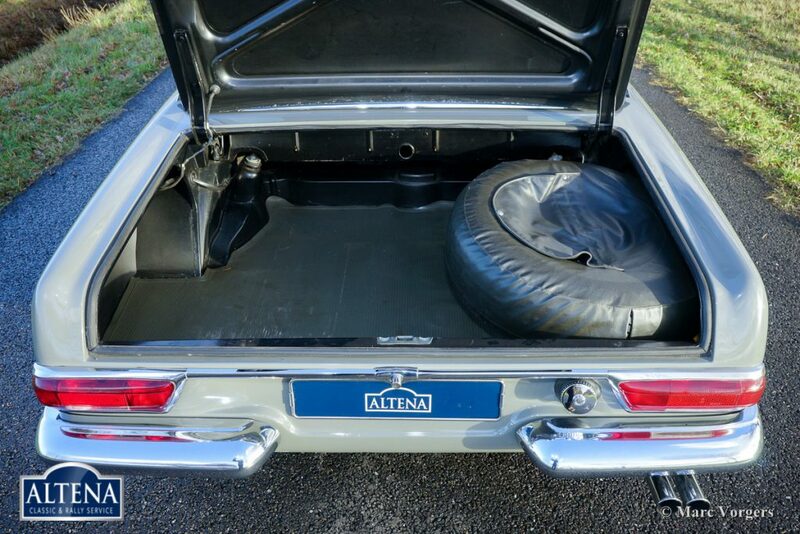 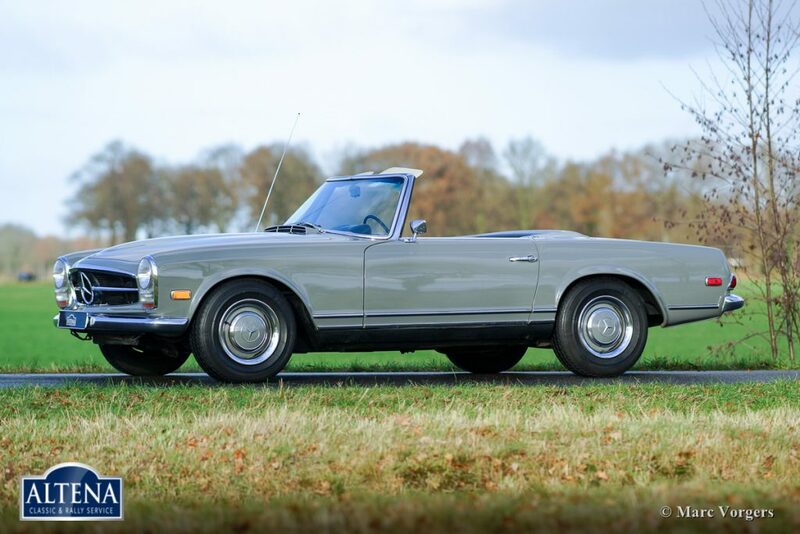 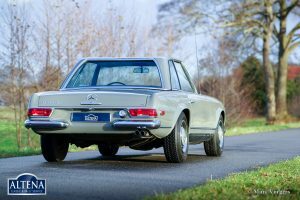 This is a highly desirable Mercedes 250 SL ‘Pagoda’ in the most beautiful original condition you can wish for!